Reminder: meeting & post-election celebration tonight! Hey Portland Dems, tonight is our November meeting! WHO: All are welcome, and all registered Democrats in Portland can vote. WHERE: Mechanics’ Hall, 519 Congress Street, Portland. Third floor. 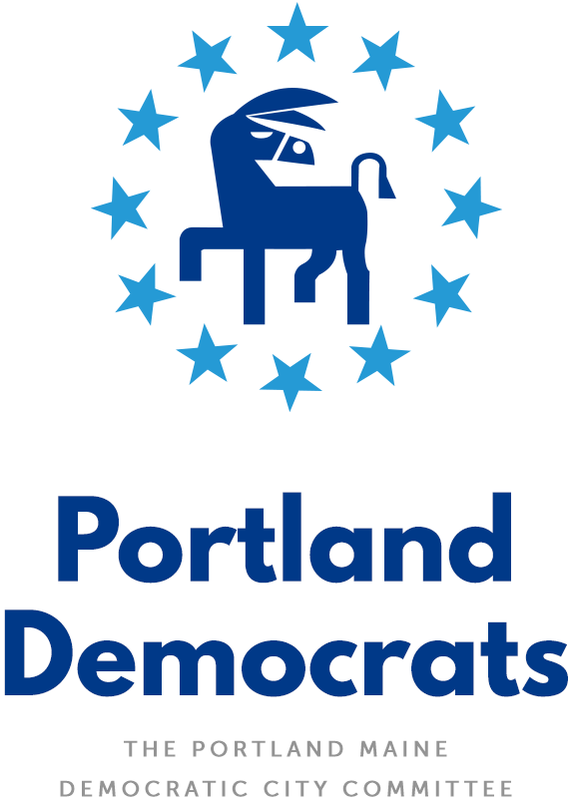 WHY: To celebrate our wins last week and elect new Portland Dems officers. The big election is over, and as I’m sure you’ve heard, Democrats in Maine and across the country had a great night! We’re grateful for everyone who volunteered with the Dems or with any candidates during the past few months, those wins wouldn’t have been possible without you. THANK YOU for all you did. But there’s still one big election to think about: the election for officers of the Portland Democrats! This Thursday, November 15, our monthly meeting will be focused on electing a new chair, vice-chair, treasurer, and secretary. All four seats have two-year terms, meaning whoever wins these seats will serve until November 2020. Three of our four officers have decided not to run for re-election, meaning there are a lot of openings (and of course, you can always challenge incumbents too). We currently have three declared candidates, whose statements I have included below. If you want to run for any of these four positions, please let me know! If you tell me ahead of time, I can email out your statement to the full list. Nominations can also be taken on the floor, so you can always decide to run at the last minute or nominate someone else who you think would do the job well. The only official qualification is that officers must be registered Democrats from Portland. We look forward to seeing you on Thursday! Please be advised that we’re at Mechanic’s Hall, rather than at City Hall. We’ll also have free food & drink to celebrate our big wins together. Location: Mechanic’s Hall, 519 Congress Street, Portland ME. Third floor. 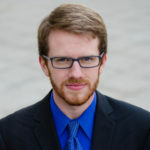 Sam Tracy is the current chair of the Portland Democrats, and is running for re-election. Sam became the chair in August 2018 after filling in the term of previous chair Sarah Alexander. In the few months since he has taken leadership of the PDCC, he has focused on increasing turnout among Portland voters in the 2018 election, starting up the long-planned Block Captain program, and planning for the long-term growth of the Committee. If re-elected to serve a full term as chair, Sam plans to focus primarily on recruitment with the long-term goal of making the PDCC a dominant force in the 2020 elections and beyond. This includes a renewed focus on the Issues Committee and activism on specific issues that concern Democrats locally, growing & sustaining the Block Captain program, and recruiting new members to revitalize our monthly meetings and get the numerous subcommittees back up and running. Elizabeth Murphy chose Portland as her home 12 years ago and has never regretted it. Except maybe sometimes – just for a few minutes – in late February. She has a passion for social justice, and spent the past 25 years working on behalf of children. She currently manages programs at the Barbara Bush Children’s Hospital. She writes and edits for fun as well as at work, and also enjoys travel, being outdoors, good books, and hanging out with her husband Sean and daughter Sarah. If you want to run, please email chair@portlanddems.org. Nominations will also be taken on the floor. I am most pleased to step up for the nomination as the Portland Democratic City Committee Secretary. I’m firmly convinced that time that local engagement is essential for our democratic survival. I became active in the PDCC during the NH primary, canvassing for Bernie. I also worked with other members staffing the massive Maine Democratic primary. 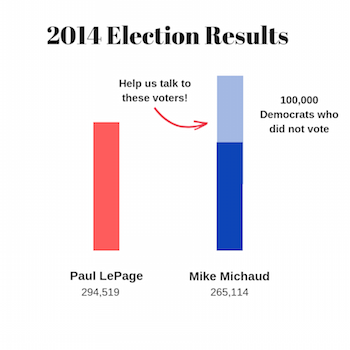 Throughout the 2016 campaign I worked as to support Democratic victory. A vibrant organization requires active work by members beyond those in leadership positions. For that reason I’ve devoted my energies to the PDCC Issues Committee. I’ve also drafted the initial minutes for the PDCC to allow the Secretary to devote attention to other more immediate demands. I look forward to serving the PDCC.